More recently, on my way to work, I listened to an interview with rapper and actor Ice-T. In reference to his new film, Something From Nothing: The Art of Rap, he used the word “craft” to describe the making of rap music in his era. Ice-T: a craftsman? There is a craft movement afoot in this country, and entrepreneurs, the most nimble of job creators, are participating en force. These craftsmen mean business, and there are a few simple things on which the successful ones focus: quality, technology and the customer. All three work hand-in-hand. One of my favorite craft categories is that of beer, a torch-carrier in the movement. The craft beer industry is comprised of 1,900+ small brewing companies and has experienced steady growth in recent times. According to the Brewer’s Association, the craft beer industry grew by 13% and 12% in 2011 and 2010, respectively, while sales of beer in general fell. What's the difference? Craft brewers are innovative and passionate. Craft brewers focus on small-batch production and quality ingredients, which often amounts to higher prices. Customers are responding by paying the premium. Here in Houston, The Hay Merchant is a prime example of this. The bar serves craft beer only and is crowded every time I go. Craft ideology spans into other categories, like food, coffee and even clothing. Billy Reid, a designer from Alabama, sells handmade clothing. His clothing is not inexpensive, but customers are willing to pay high prices for the quality product he produces, and thus his business continues to grow. 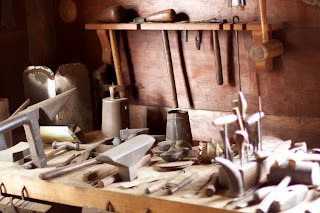 Important for craftsmen is the use of technology. The expansion of online commerce has spawned a proliferation of start-ups. Shopify, for one, provides businesses an affordable opportunity to easily establish a storefront online to sell beyond their local customer base. Inconceivable a decade ago, let alone affordable. Etsy, a community site, provides an outlet for artists to display and sell work to customers far and wide. My wife used Etsy to decorate our daughter's nursery, choosing to buy through the site on account of its original products. Consumers are increasingly seeking ways to connect with people who make the products they buy. Jaime Wong, an entrepreneur, makes the case for changing consumer tastes in Fast Company, The Rise of the Micro Entrepreneurship Economy, writing, "As our appetite for labor swings away from the corporate culture and structure, so does our taste in buying." People are yearning for high quality products, whether in the beer they drink or the clothes they wear. They are interested in traditions of the past... today. 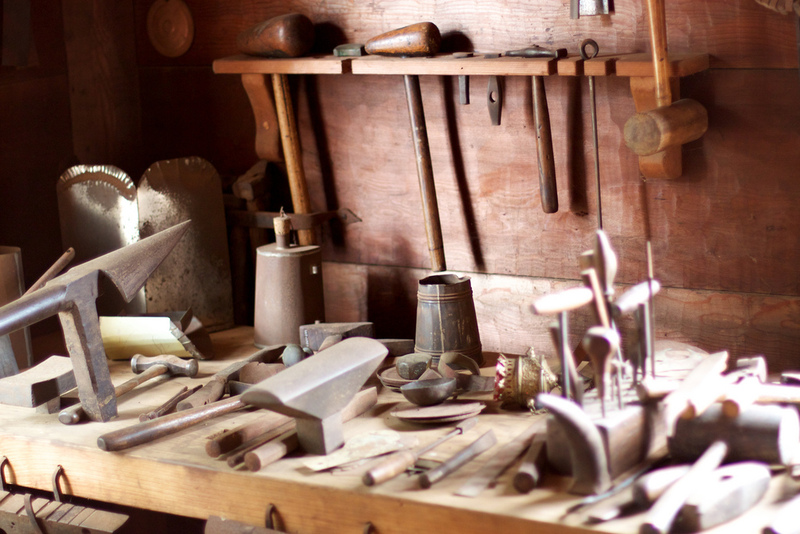 Craft products remind consumers of the way things used to be: slower, simpler, by hand. In that sense, consumers are returning to the days of old--and taking their money with them. The craft category can be a step forward for those affected by economic slips or those simply interested in seeking income by profiting from what they love to do. What's your craft? Find your passion. Focus on quality. And take advantage of technology to reach an expanded set of consumers ready for your product. You have the tools to make it happen.